I love everything about this time of year. I love the weather, the lights, shopping for my loved ones, and most importantly- the spirit of good cheer and love that just seems to abound this time of year. I love being able to take the opportunity to reflect on the birth of our Savior, and what that means for me and my life. But when I am really honest with myself, I realize I am not always as good at focusing on those important things this time of year. It’s so easy to get caught up in the presents, the parties, the shopping, just the busy-ness that this time of year can bring. 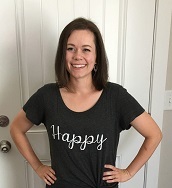 The best way I have found for me to combat this is to make sure I have plenty of activities and reminders around my house that help my family focus on the real meaning of Christmas. One thing I love to do is to teach my children the legend of the candy cane. 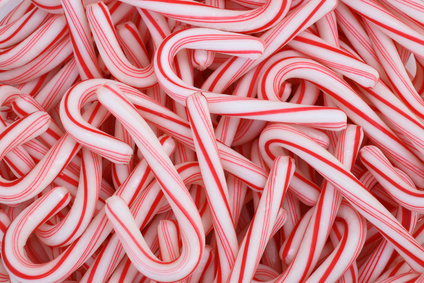 We see candy canes EVERYWHERE this time of year, and I love that when my children will see a candy cane, they won’t just see a stick of peppermint candy- they will be reminded of Jesus, and why we celebrate Christmas. 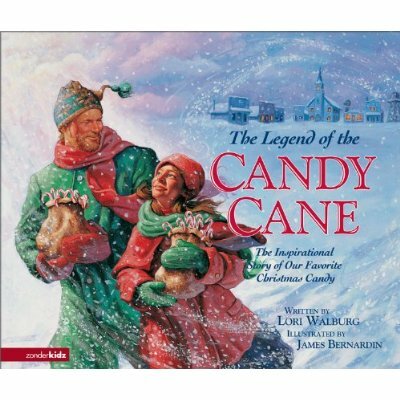 There’s several ways you can teach your children or grandchildren the legend of the candy cane. Growing up, my mom always read us the story written by Lori Walburg. By His Stripes: Wide red stripes were added to the candy cane, representative of the crucifixion and the blood Jesus shed for our sins. Love of Christ: The candy cane was also made to be given as a gift, representing the love of Jesus when he gave us the gift of salvation. You can read through the representations together as a family and discuss the meaning of each one, or break it down and talk about one aspect each day leading up to Christmas. There are also so many cute print-outs you can find online- just print one out and hang it in your kitchen, or set it next to a festive bowl of candy canes as a special table centerpiece. Many of these are simpler versions of the full explanation, which is perfect for young ones! You can also decorate with candy canes, make candy cane shaped cookies, or make candy cane hot cocoa to surround your children with that sweet reminder of their Savior’s love for them. I also love the idea of giving out candy canes with the poem attached- to neighbors, friends, even strangers at the mall! What better way to spread Christmas cheer and teach your children to think of others at Christmas time? I hope we each have a wondrous and magical Christmas season, but more importantly, I hope we each take time to reflect on the specialness of this Christmas season and remember why we call it “Christ”mas.